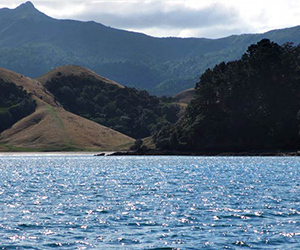 Colville Bay Harbour Care project in the Coromandel has been awarded $201,420 from the Community Environment Fund to establish base line environmental data in order to better understand and protect Colville Bay and the rivers, streams and wetlands that feed into Colville Bay Harbour. Currently minimal environmental data is available about the freshwater catchment area and harbour, despite the fact that it represents some of the region’s most iconic biodiversity and natural heritage. The three-year project will undertake community education activities and seeks to engage the community in programmes demonstrating best practice freshwater and coastal management. By the end of the three-year period, the project aims to have installed 5km of electric fencing to prevent livestock entering the wetlands, rivers and streams that feed the Colville Bay Harbour, and to have planted at least 20,000 native plants to revegetate newly fenced and public areas. The Community Environment Fund provides funding so New Zealanders are empowered to take environmental action. Since 2010 the fund has awarded more than $12 million to environmental projects.